When shopping for a gun belt, one might notice that some are reinforced gun belt models and others are not. One may also wonder if the reinforcement makes a difference and why any sort of premium should be paid for reinforced gun belts. Yes, there is a difference. A significant difference. Granted, there is something of an economy of scale involved - every person shopping for a commodity has different needs and those should be considered - but for many people, a reinforced gun belt may be the best option. When shopping for just about anything, be it shopping for a gun belt or just a plain old pair of pants, the intended use of a thing is highly important to consider. A gun belt is no different, and different people have different uses in mind. For instance, a police officer or member of the military may be shopping for a duty belt. Duty belts are a different animal; for starters, they are not usually worn in the belt loops. Duty belts are typically worn over one's pants. Typically, that's why those belts are wider than typical trouser belts. The vertical tension is spread over a larger area. Some people only need a gun belt for occasional use. 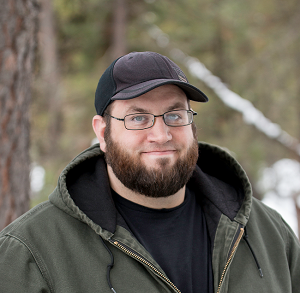 There are some people who only wear a pistol when they're in the woods, such as a magnum revolver as a backup firearm while hunting. A Western gun belt may be that person's best option. As a result, those person's needs are going to be different than someone who, for instance, needs a belt for an everyday carry. 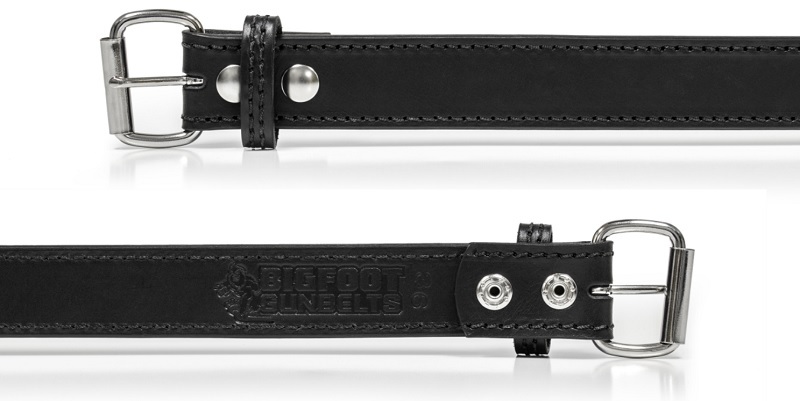 That sort of person needs a belt that will not only hold up their trousers, but support a pistol plus any other gear that rides on the belt, like a cell phone, multi-tool and so on. The latter sort of person probably isn't anticipating replacement of accessories at regular intervals, either. A belt should last for years - I still wear a Dickies leather belt that I've had for a decade, and it still works - and thus a certain amount of durability is expected. If you're the latter sort, you want something you buy to last and expect it to. Hence, you should buy something that's built to last, which is what many everyday carriers look for. 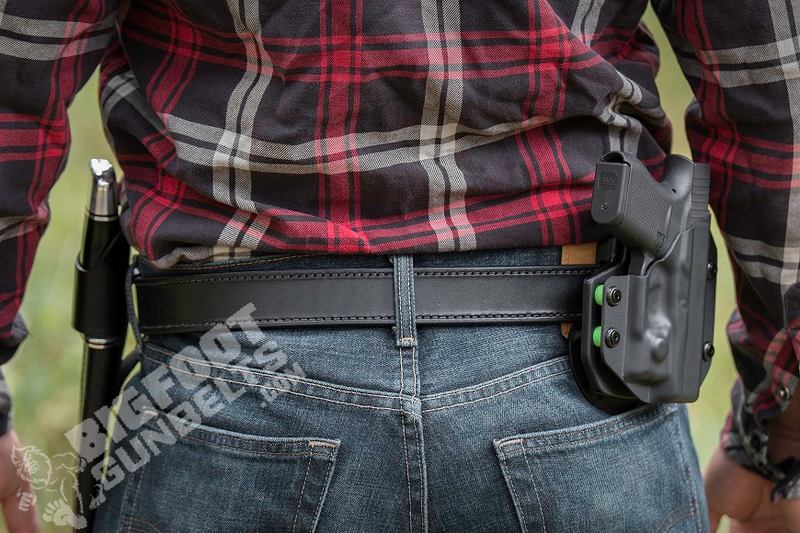 One of the most important attributes in a gun belt is a lack of the dreaded "gun sag." Gun sag is where the extra weight of a pistol causes a belt to sag where the pistol is worn. 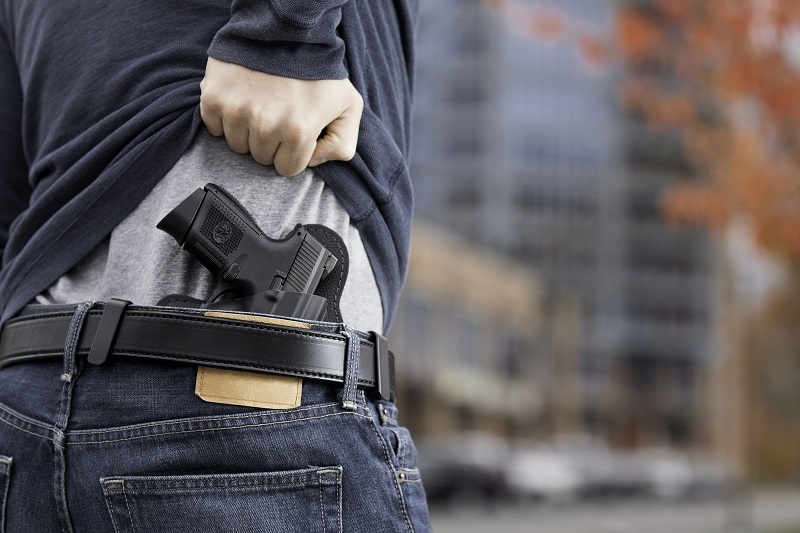 That causes your pants to droop a bit and as a result, concealed carriers can end up printing and that is not always welcome. Gun sag is what a quality gun belt should counter. Nylon gun belts can certainly work. The best nylon gun belts are made from the strongest nylon available, such as the kind used in freight straps. That grade of nylon gun belt will certainly provide ample hold, but definitely won't look good. For some people, that matters, and the best presentation among gun belts demands leather. Leather gun belts come a variety of construction methods, each of which has their own benefits and drawbacks. Single-ply belts are the easiest to find. They can also be had in a wide variety of leathers, including exotics such as ostrich, alligator and others. There are also the most susceptible to gun sag. The fibers in the leather can eventually strain if under load close to their maximum capacity; if made from a single layer...that will happen sooner. Two-ply belts will last longer. However, if each layer (or ply) of leather is thin, then a two-ply belt will only last as long as a single-ply belt of the same thickness. Reinforced gun belts will last the longest. Typically, reinforced belts are two-ply with a reinforcing layer between the layers of leather. This provides a solid core to the belt, though the reinforcement will determine just how strong it will be. Reinforced gun belts most often feature a core of ballistic nylon - a dense, strong fabric - or plastic. Kydex is very common. The strongest gun belts use a metallic core. Spring steel, for instance, is a fantastic reinforcer, as it has both the strength and the flexibility for a belt to wear comfortably and securely. Best of all, a spring steel core will keep the belt from ever being taxed beyond it's capabilities by only simply wearing a pistol, and maybe a magazine clip. As it happens, there is a great website for finding a gun belt spring steel core. They also happen to look incredibly good, and are made in the U.S. of A.